This exhibit designed for California Academy of Sciences celebrated its 150th anniversary. 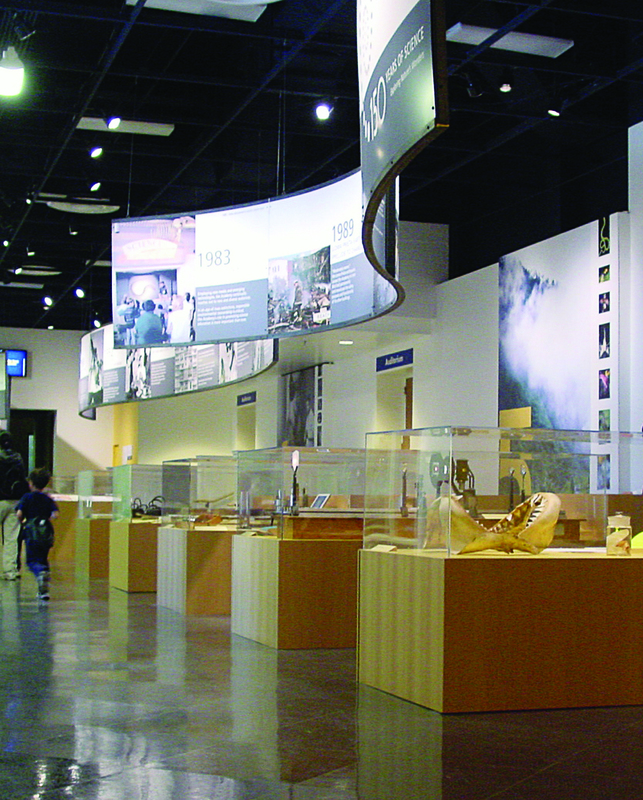 The purpose of this exhibit was to show visitors the museum’s history and introduce plans for a new museum. An over-scaled, ribbon like timeline presented each department’s key achievements. Carefully chosen artifacts from the museum’s library were displayed, as well as photos and exhibit highlights that helped shape the innovations and discoveries of science in the past 150 years. A digital montage of video clips, still images, and animations showcased the Academy’s past, present, and plans for the future.